Window Valance - Sew What? Sew Anything! - Sew What? Sew Anything! This window valance has swagger! Notice the lining and cording fabric which matches the bold navy wall color. The, oh so current, hanging style with strategically placed medallions, rather than rods, creates a softer drape effect for this valance. When you have a killer outside view blind solutions must flexibly accommodate that view. 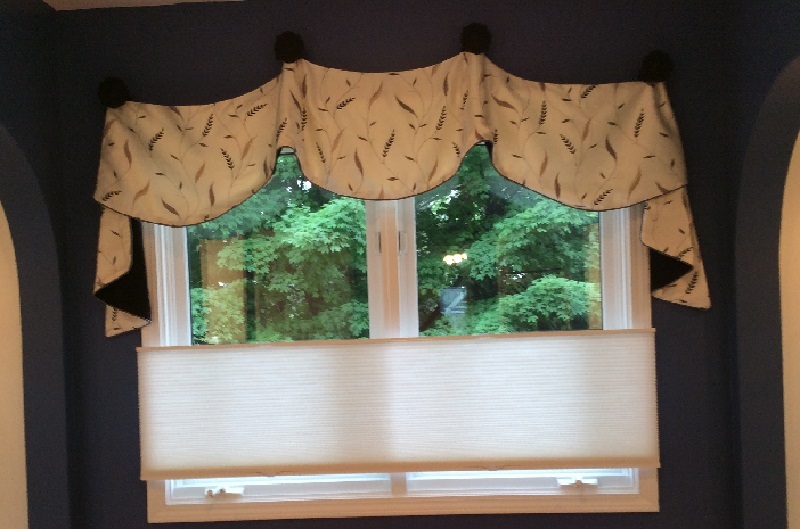 These shades can drop from the top or rise from the bottom for plenty of light screening and filtering options.